If you’re a fan of The Oatmeal, then you probably are aware of Exploding Kittens, a boardgame created by the comic’s founder Matthew Inman, plus his friends Shane Small (Xbox, Marvel) and Elan Lee (Xbox, ARGs). The boardgame became the most-funded game in Kickstarter history, raising $8.78 million last February from nearly 220,000 backers. Exploding Kittens launched on iOS today, and right now a promo offers free in-app purchases for a limited time (Party Expansion Pack; Animals/Food Avatar Packs) . 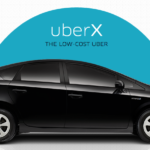 This bonus has now boosted the app to the Top Paid app spot in Canada in less than a day. – Exploding Kittens is a local multiplayer card game for people who are into kittens and explosions and laser beams and sometimes goats. 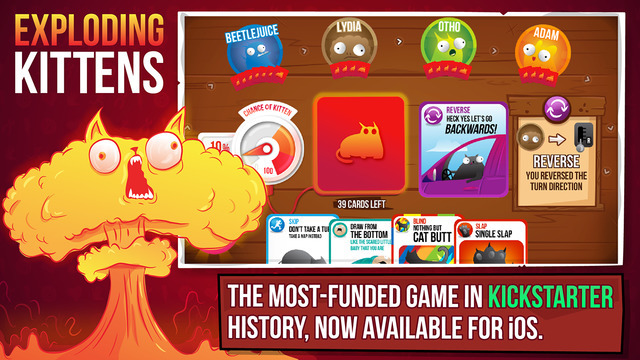 Click here to download Exploding Kittens for iOS in the App Store—it’s $2.79 CAD (App Store prices have already increased as previously announced by Apple; #sadpanda).